Marco's Pizza founder Pasquale "Pat" Giammarco moved to the U.S. from Italy when he was nine years old and grew up working in his family's pizzeria. He later embarked on a mission to make high quality pizza on a larger scale using a secret sauce recipe that he developed and refined with his father. Giammarco focused on three key areas: dough, sauce and cheese. 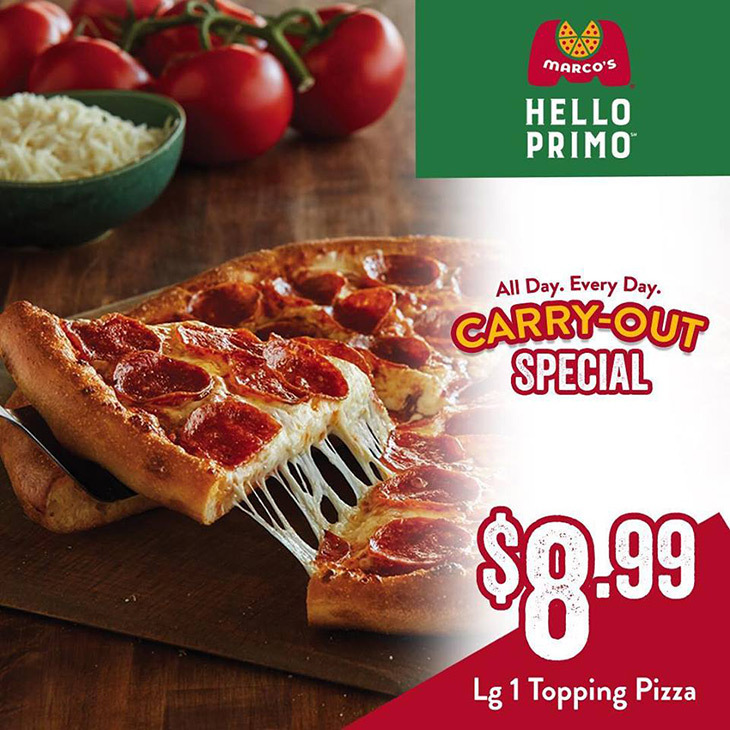 He established three standards in order to deliver the consistent levels of quality and freshness expected of Marco's products: dough made fresh daily in each store; a proprietary sauce recipe that blends imported spices and three types of vine-ripened tomatoes; and an exclusive blend of three fresh cheeses (never frozen, unlike many pizza chains). 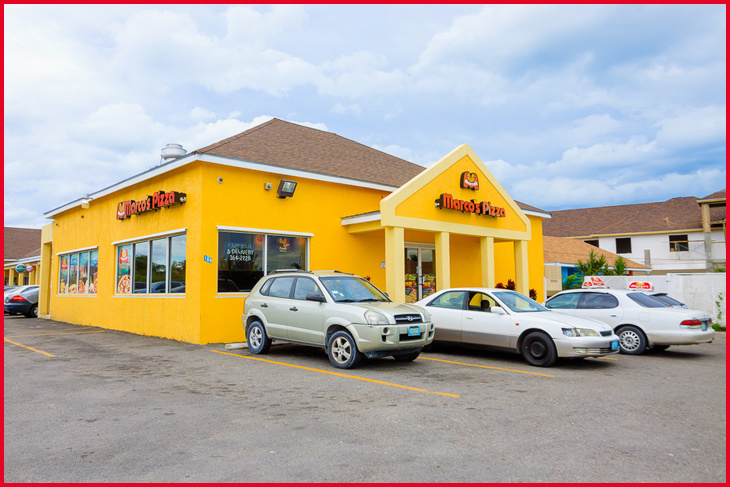 The first Marco's Pizza store opened in Toledo in 1978. Gradually, stores opened throughout the Midwest and beyond. 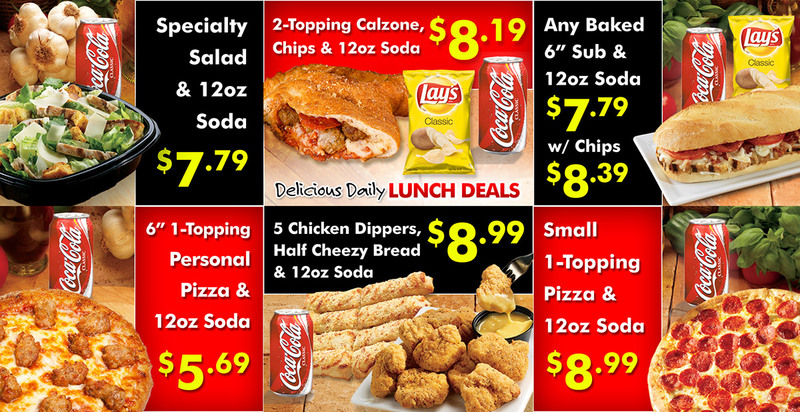 The Marco's Pizza menu broadened as well, to include hot sub sandwiches, salads and Cheezybread for carryout and delivery. This pizza is excellent! When are they coming out west? We have cardboard tasting Domino's coming to our area, but we really would prefer Domino's. 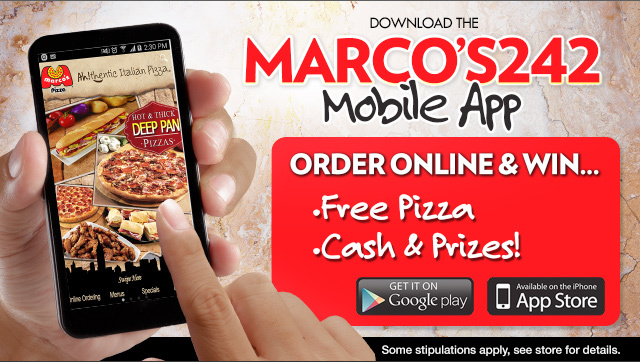 Marco's Pizza's are a work of art, it is taste far better than Domino's & the service is excellence. There cheesy bread sticks are nothing to frown on either. For being the new pizza, this really taste good, this off the chains man, when you taste this i betcha u would wan more.